Customer insights are the new currency in today's digital world, yet too many companies can't seem to produce them quickly enough. What’s the problem? It comes back to a familiar theme. 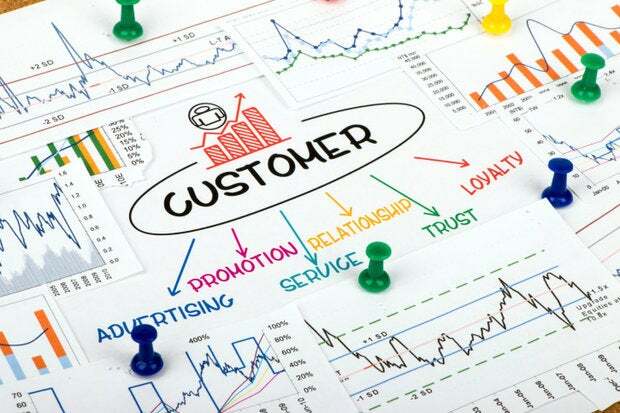 Before this can happen, though, the CIO must partner with the CMO to create an "insights team" and architect an "insights fabric" technology stack that can extract marketing insights, enable marketers to act on them, and test and analyze results in a feedback loop, says a Forrester report. "Despite their investment in big data practices and technologies, many firms still paddle in a sea of data without the ability to prioritize results and find insights they can use," write Forrester analysts Brian Hopkins and Ted Schadler in the report. "One global bank told us, 'We are a company with so much data but very little insight, even with all the tools and capabilities in place. We are literally drowning in data and starving for insight.'" Customer insights are the new currency in today's digital world, yet too many companies can't seem to produce them quickly enough. A big part of the problem is that everyone seems to be operating in silos and buying up technology independently of each other. At times, IT holds customer data hostage while marketing goes behind IT's back. The result: disconnected data and systems. Few seem to understand what's at stake. A well-designed insights engine and process can change a company's fortunes. For instance, a Sephora customer can receive a promotional message over her mobile device as soon as she steps into a store. A large commercial bank found that new credit-card customers had a painful on-boarding experience and fixed it. Salespeople at Constellation Brands leverage insights to assist customer retailers in maximizing results of end-cap displays. Tesla Motor's insights gleaned from data in its connected cars will go into the design of a new autopilot system. "After years of flailing, we now know that Facebook 'likes' don't drive sales -- only loyalty and referrals do," Hopkins and Schadler say. "An insights-to-execution process would have discovered this much sooner." Forrester figures setting up a system that delivers customer insights will cost anywhere from $2 million to $10 million over two years, depending on how much data infrastructure already in place. Companies will have to hire data scientists and engineers, in order to create data insights teams of five to 15 people. At the base of the technology stack is the "insights fabric" layer, which consists of data warehouses, data marts, OLAP, data hubs and cloud data sources and services. In the middle layer, there's data science workbench and agile BI, execution engines, data feed management, collaboration and governance tools. At the top of the stack are insights-driven applications. "CIOs have a responsibility to implement and manage the business technology their firms need to understand and serve powerful customers," Hopkins and Schadler say. "Systems of insight play a vital role in transforming technology systems into this engine of business growth."